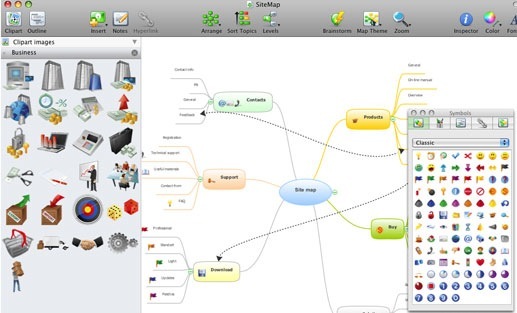 ConceptDraw MindMap is a mind mapping and brainstorming software that you may use for capturing ideas, planning events as well taking notes in a more visual interface. It is one of the very popular mind mapping software and often rated at par with Mindjet MindManager. OK, the good news. ConceptDraw MindMap costs around $200 but you can grab it for free via this link. Fill in your details and they�ll send you serial number by email that will convert your 30 day trial in a full licensed version. The offer is valid for both Mac and Windows version of ConceptDraw MindMap v5 but you may have trouble finding the standalone trial on ConceptDraw website so head over to download.com for the links � Windows or Mac. The software is compatible with Microsoft Office programs and MindManager. Another interesting feature in ConceptDraw MindMap is support for iPod � you can export your mind maps into slideshows that can be viewed on a iPod. Thanks FatWallet.